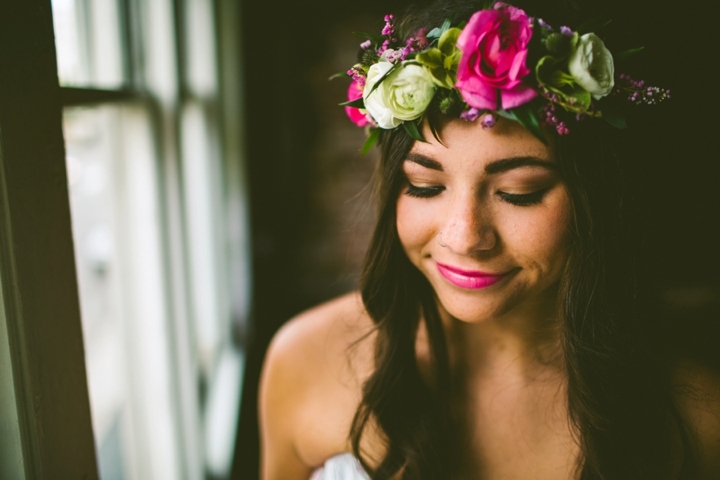 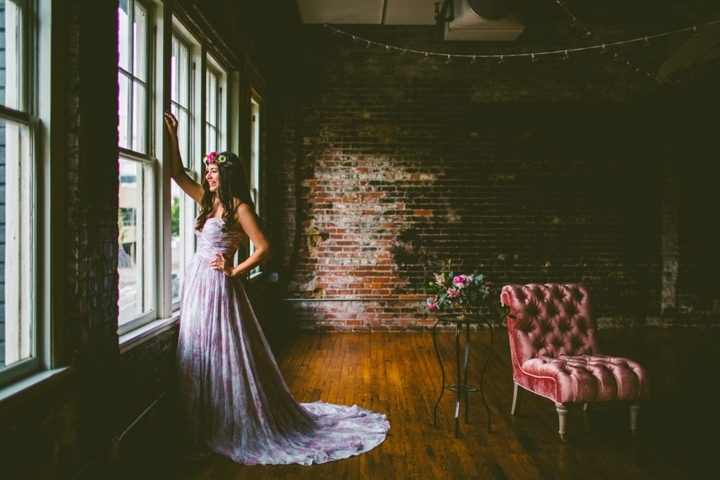 If you want to follow Gilded Bridal, check out their website, Instagram, Twitter, Facebook. 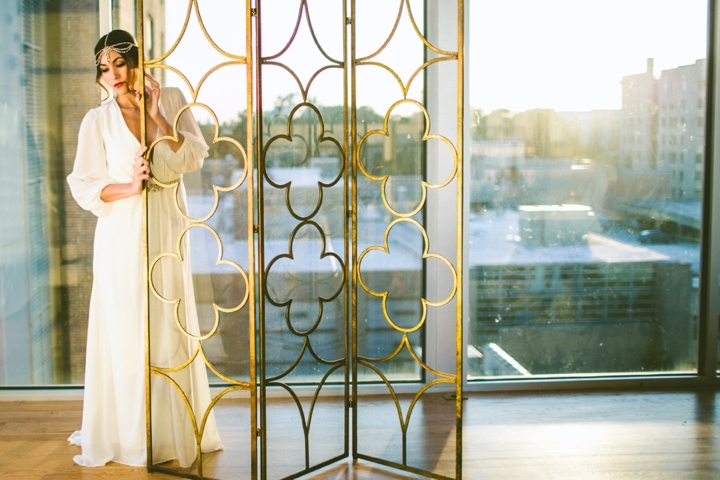 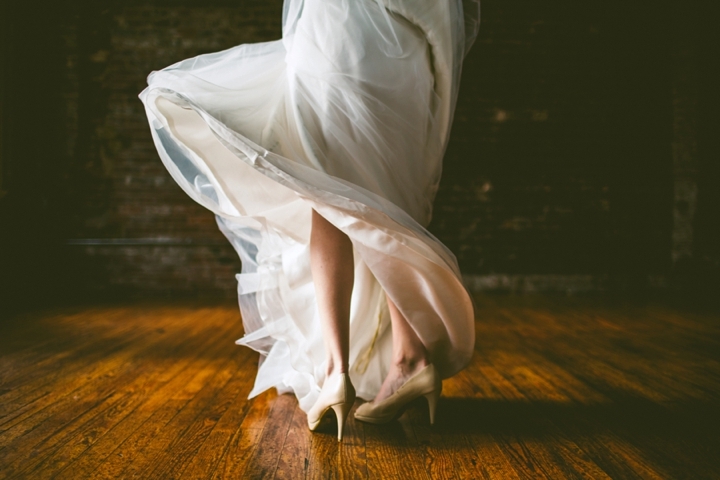 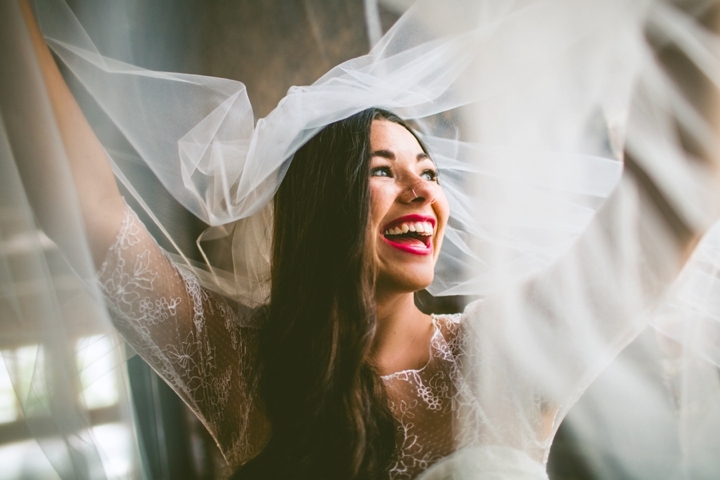 Gilded Bridal will be proudly carrying the following dress designers when the store opens in late August: Anais Anette, Truvelle, Ivy & Aster, Romantique by Claire Pettibone, Temperley London, Limor Rosen, Rebecca Schoneveld, Sarah Janks, Elizabeth Dye. 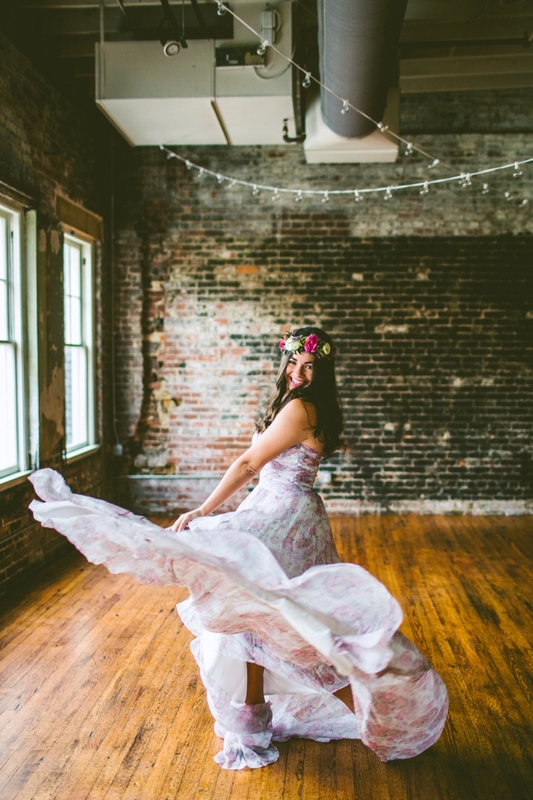 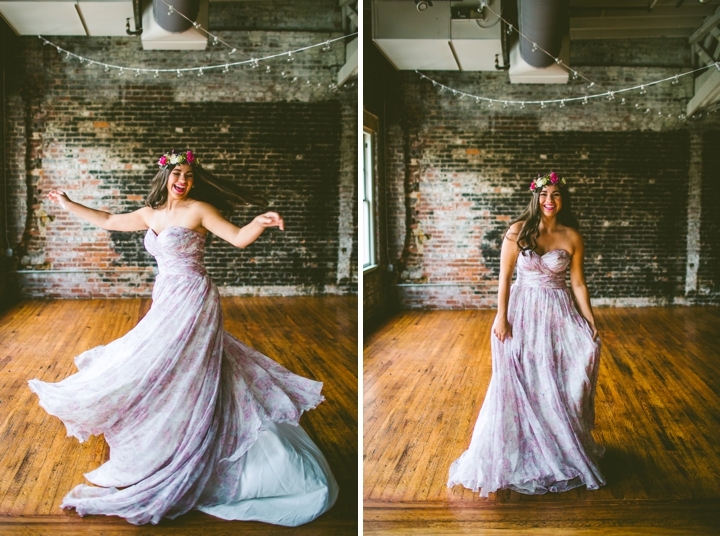 1st Series (Rayn twirling in flower dress) // Dress by Ivy & Aster. 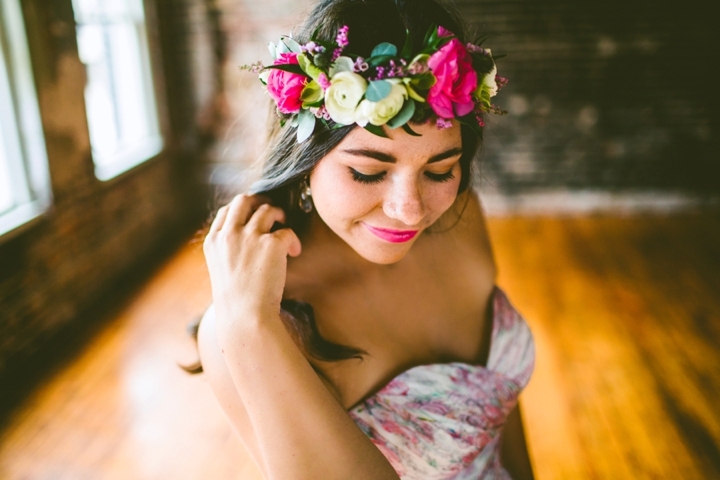 Flower Crown by Eclectic Sage. 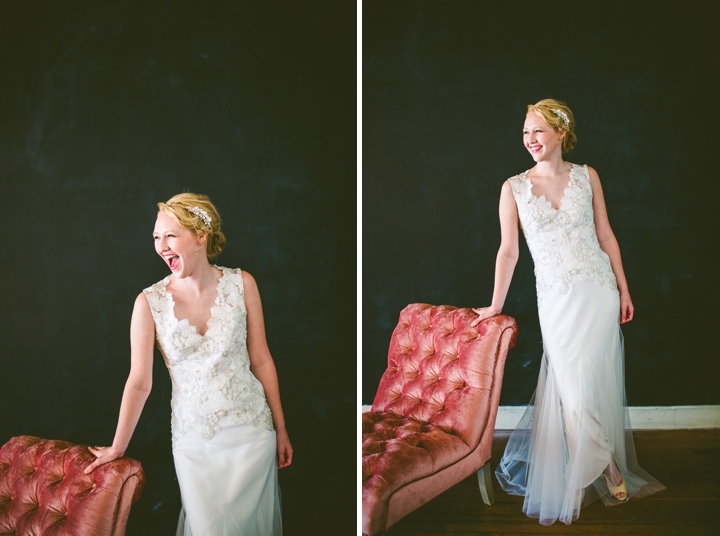 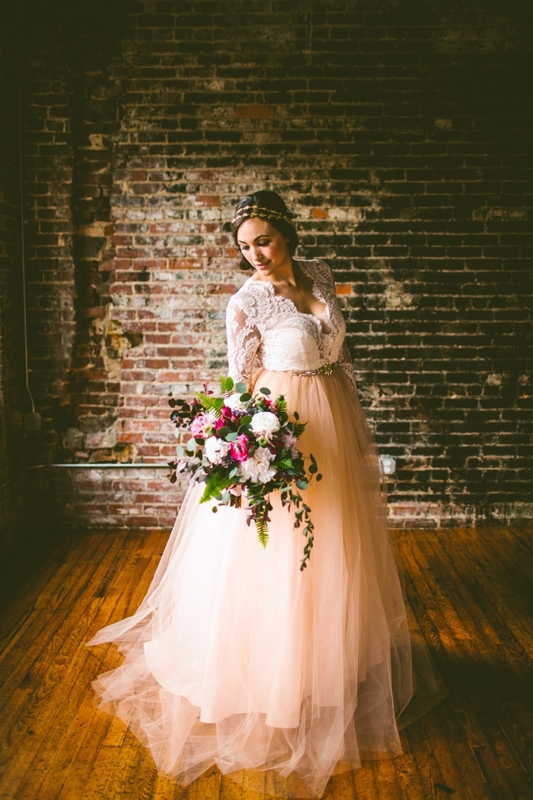 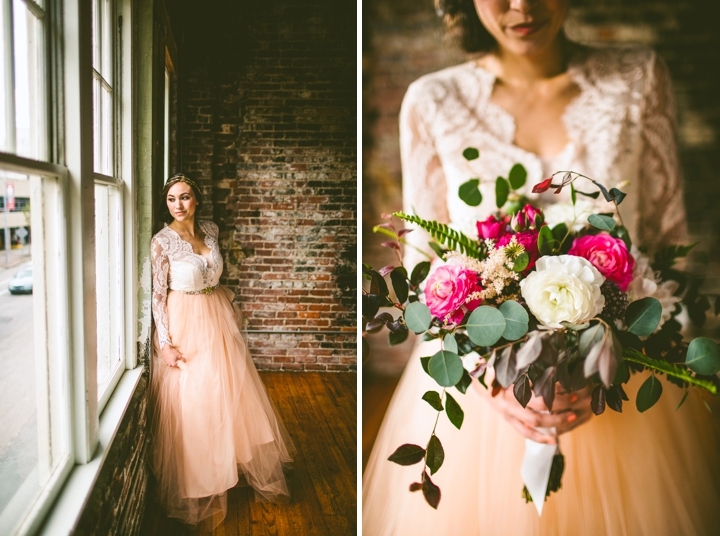 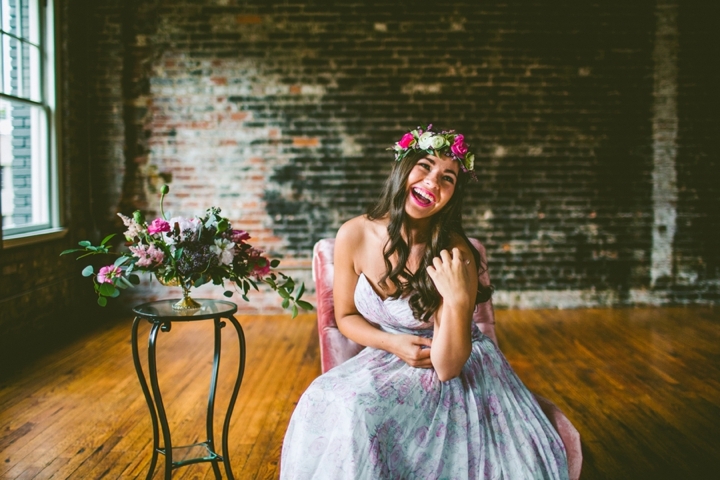 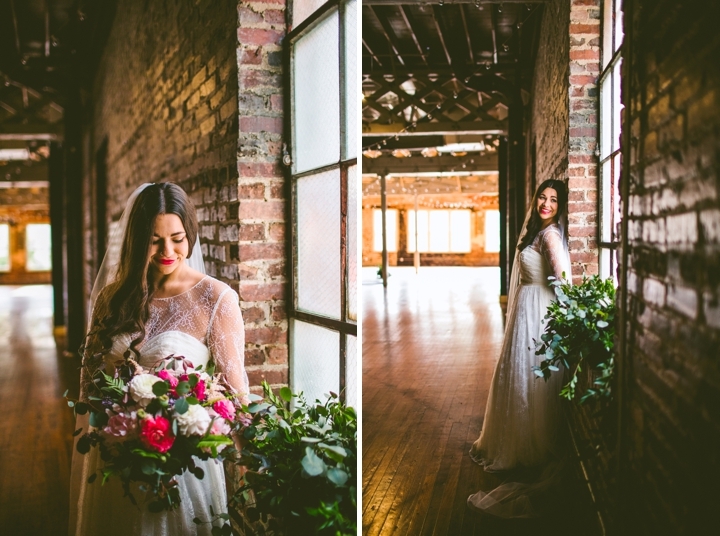 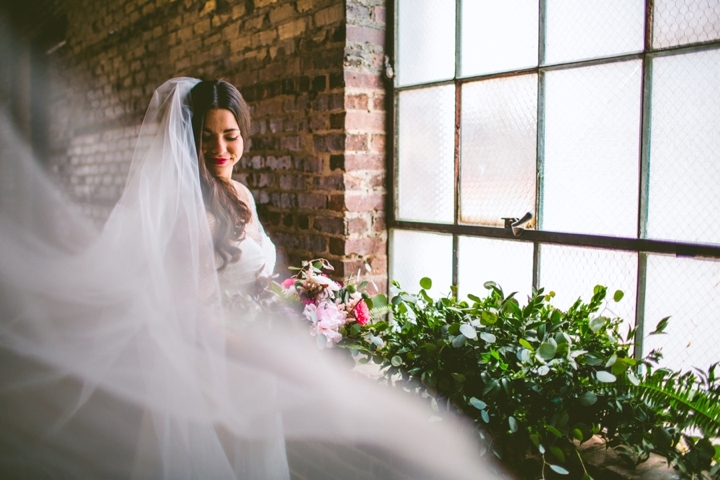 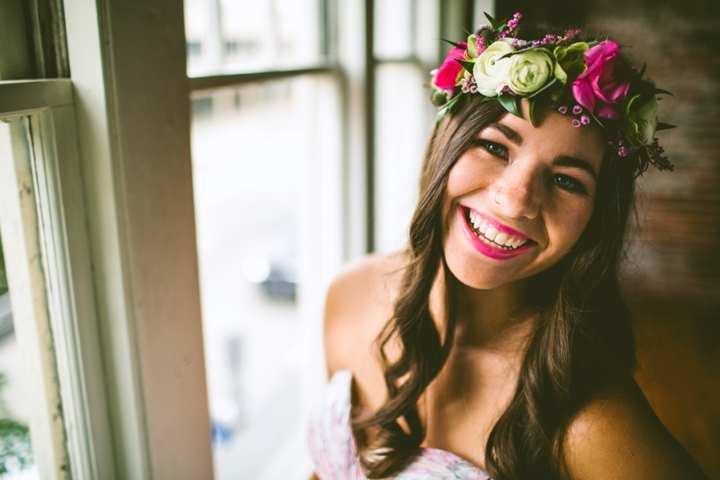 2nd Series (Annaleigh with greenery and pink couch) // Dress by Ivy & Aster. 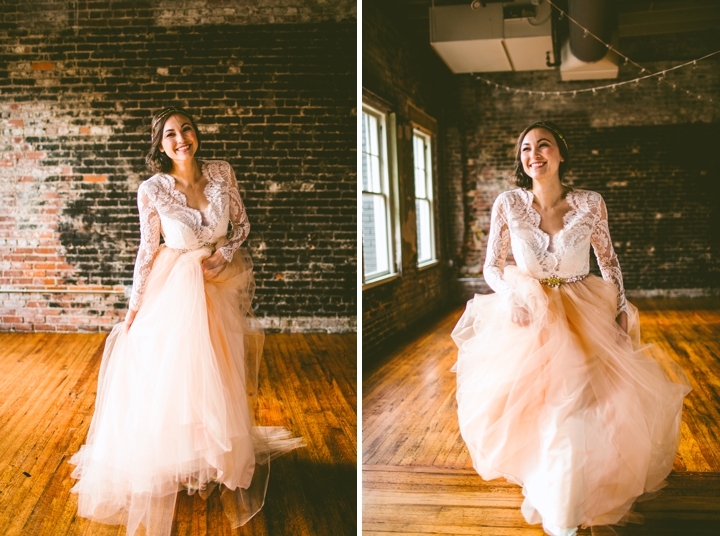 3rd Series (Joey with fluffy peach skirt) // Dress by Elizabeth Dye. 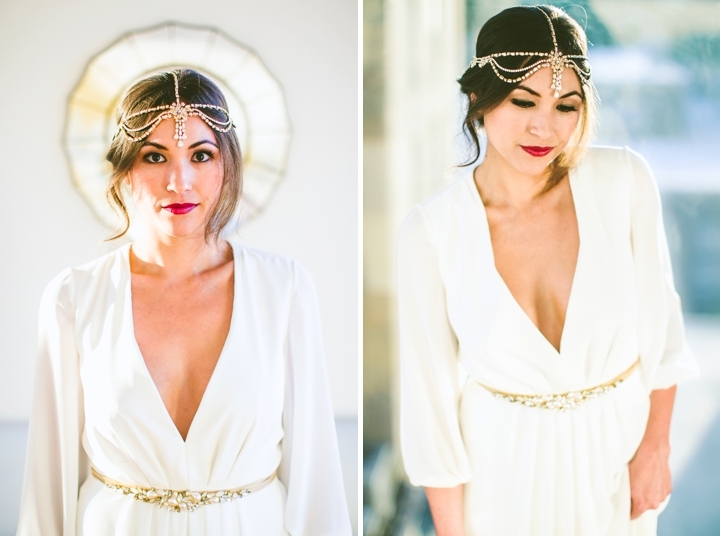 Headband and belt by Hushed Commotion. 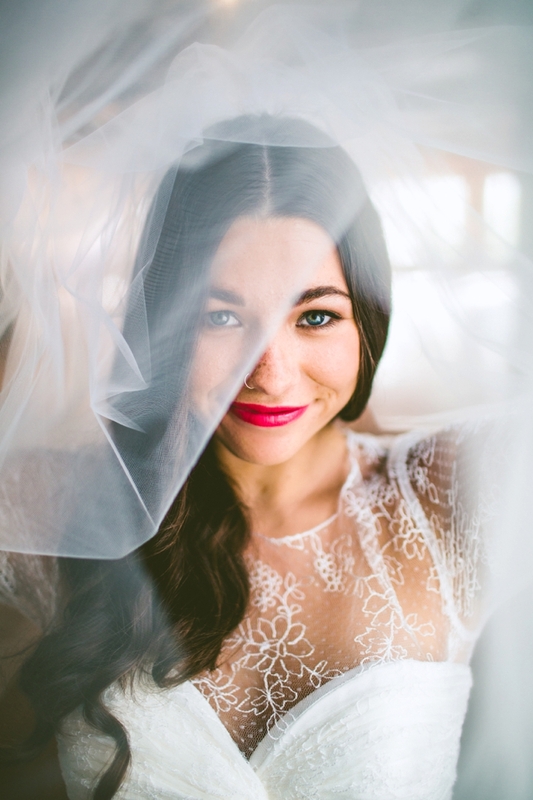 4th Series (Rayn with veil and bold lip color) // Veil by Veil Trends. 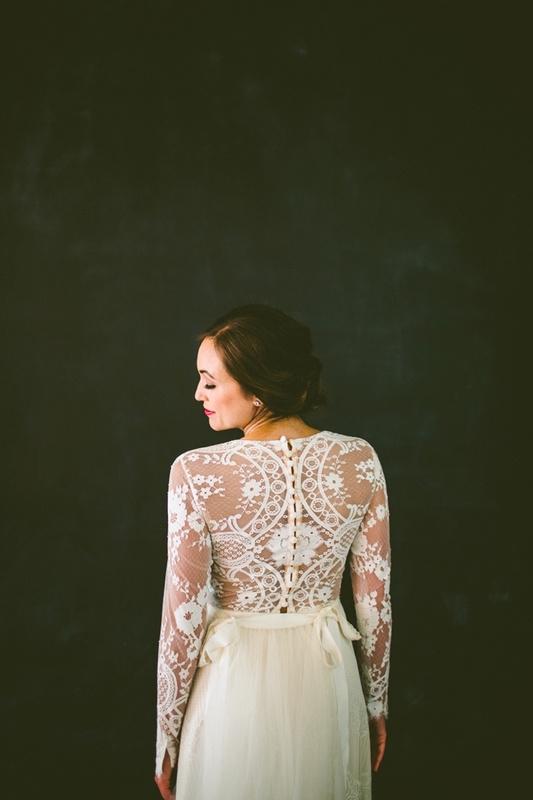 Dress by Ivy & Aster. 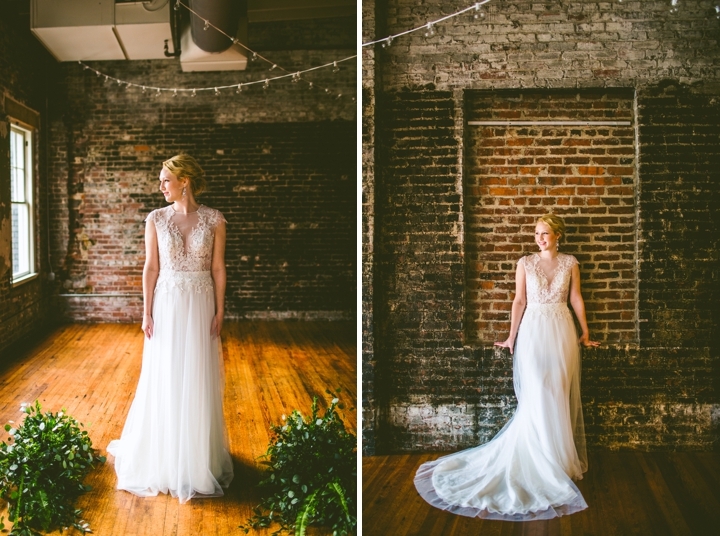 5th Series (Annaleigh in front of black wall) // Dress by Sarah Janks. 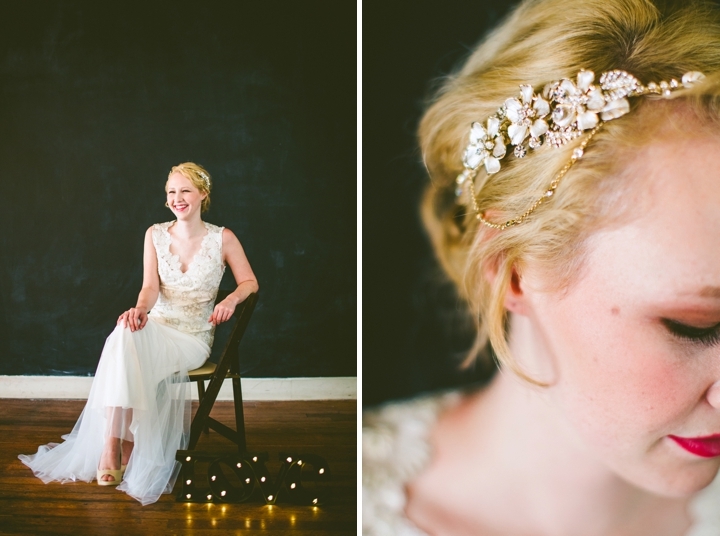 Headpiece by Twigs & Honey. 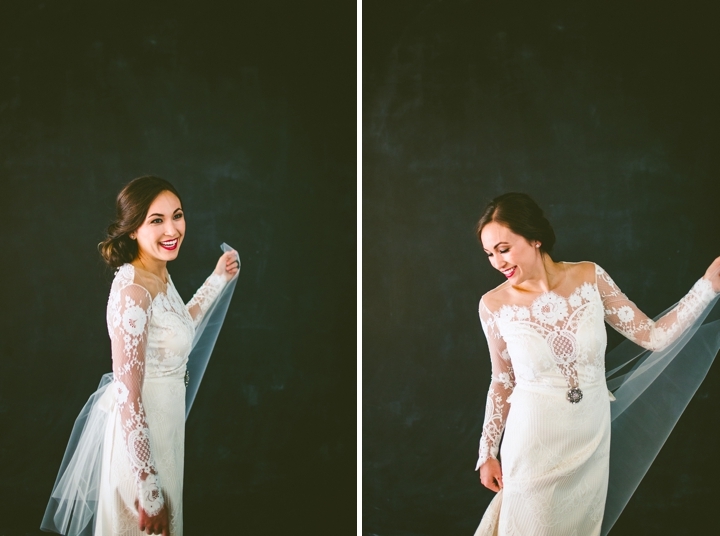 6th Series (Joey with lace backed dress ) // Dress by Romantique by Claire Pettibone. 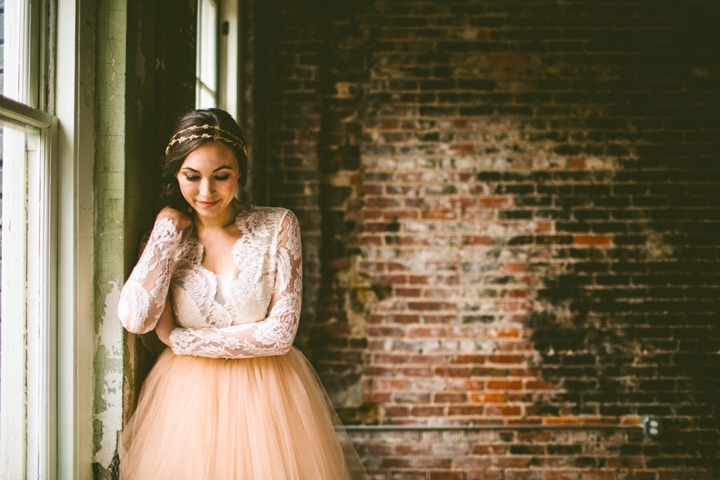 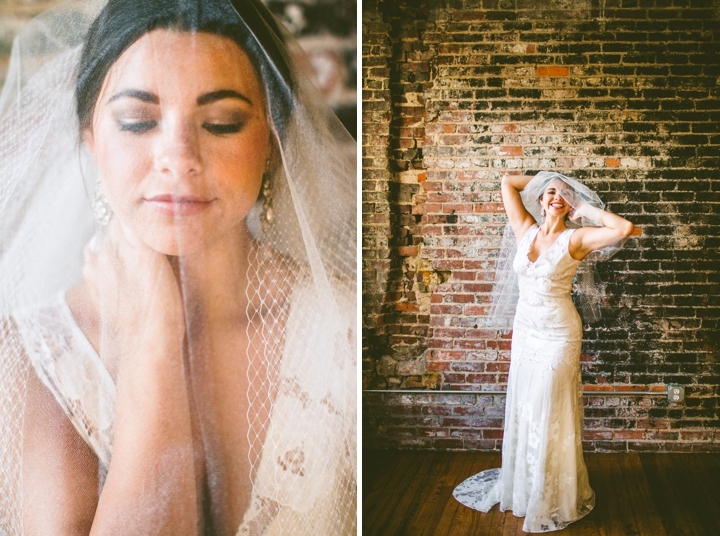 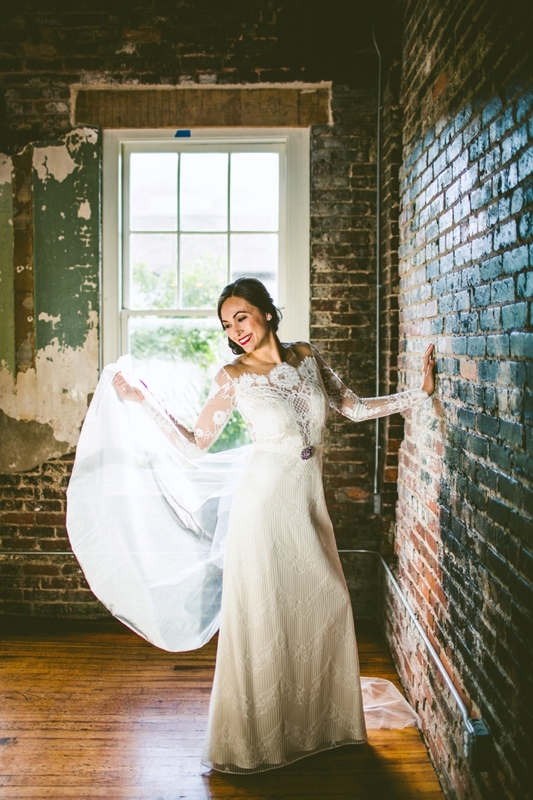 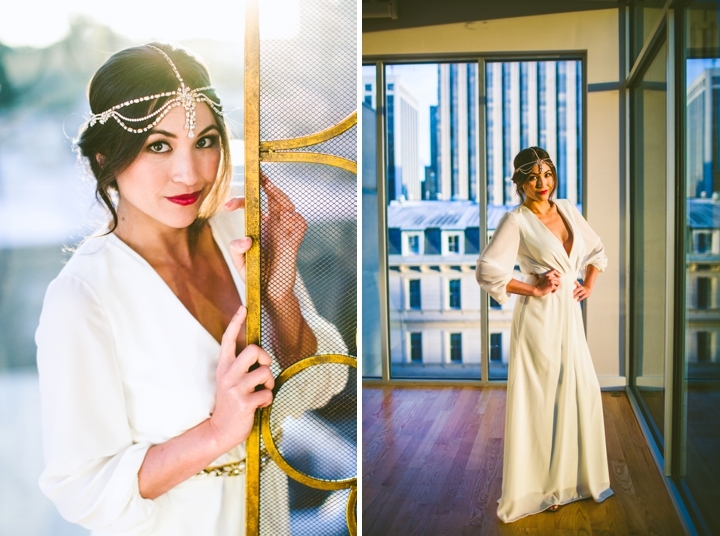 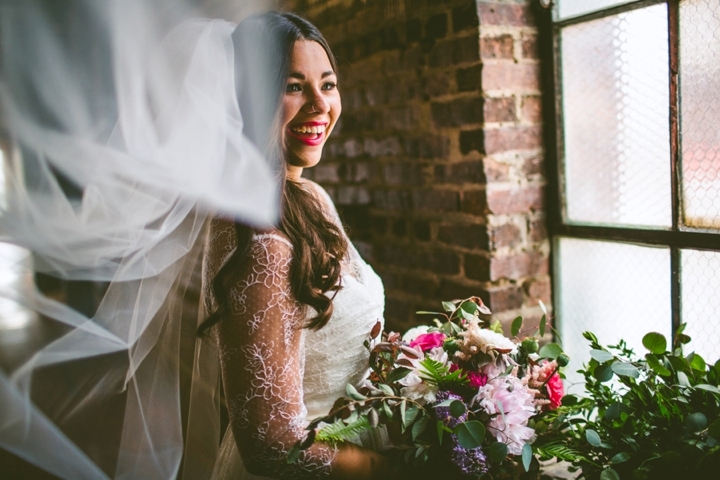 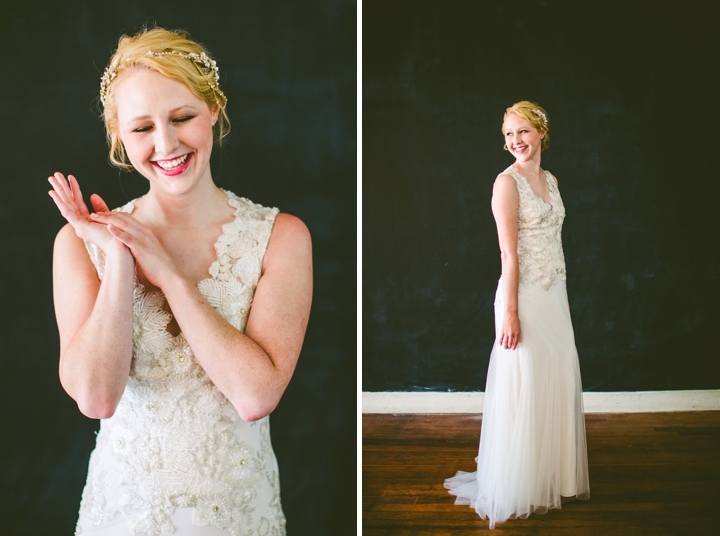 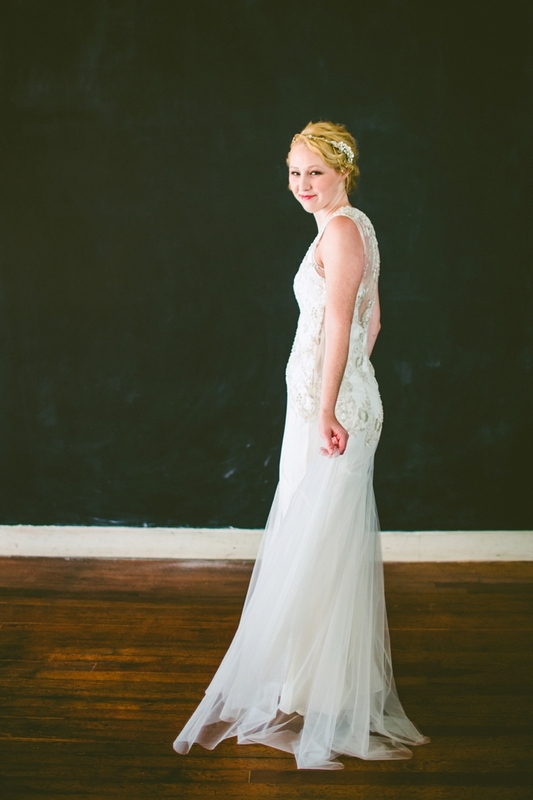 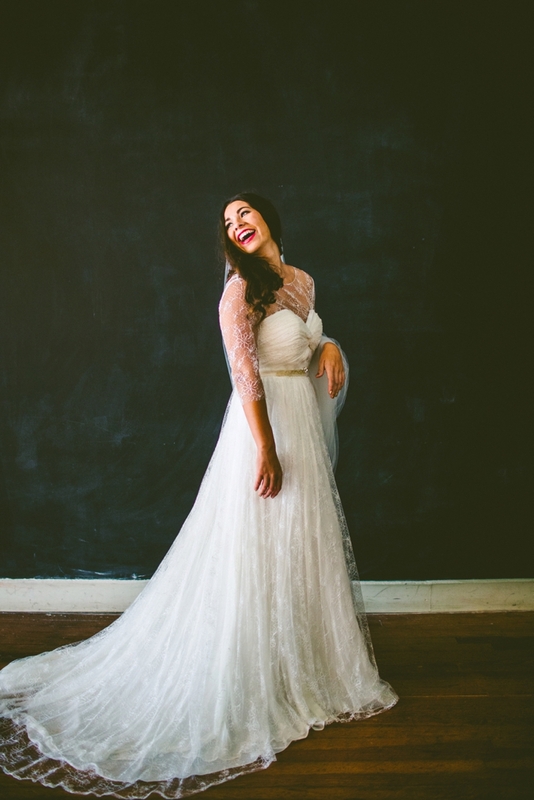 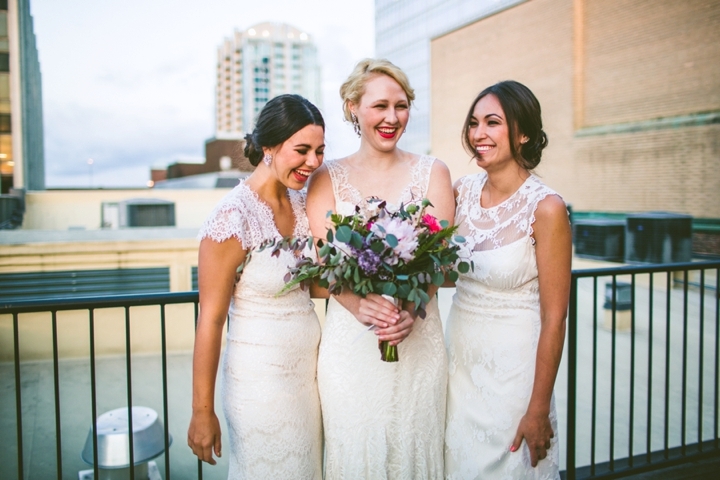 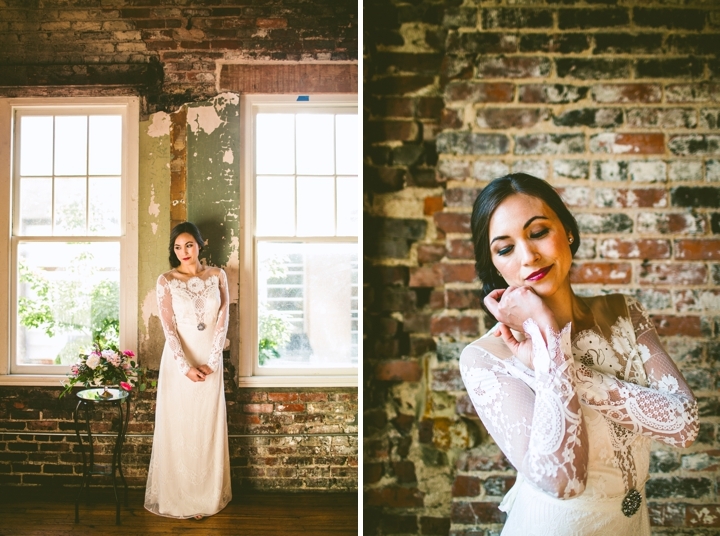 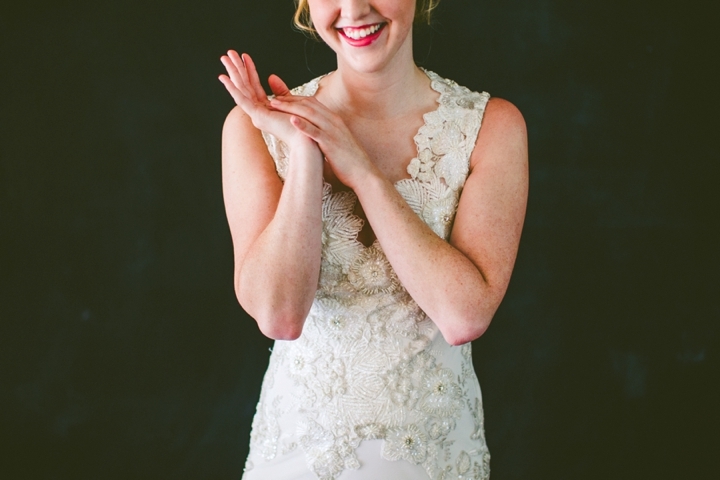 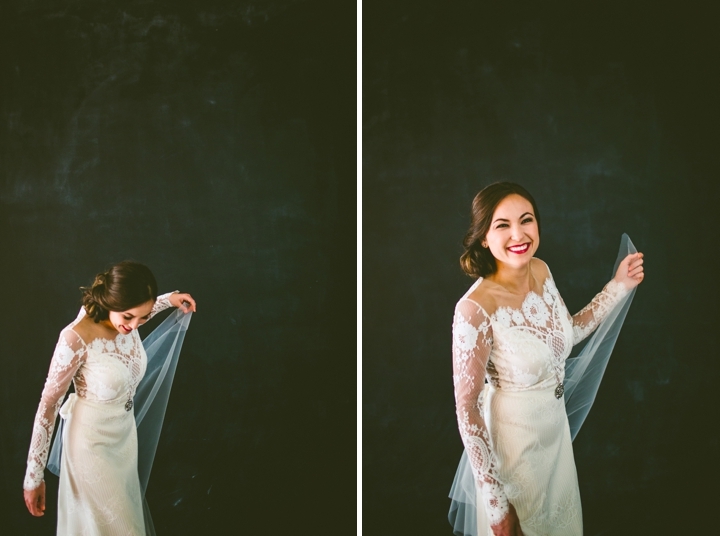 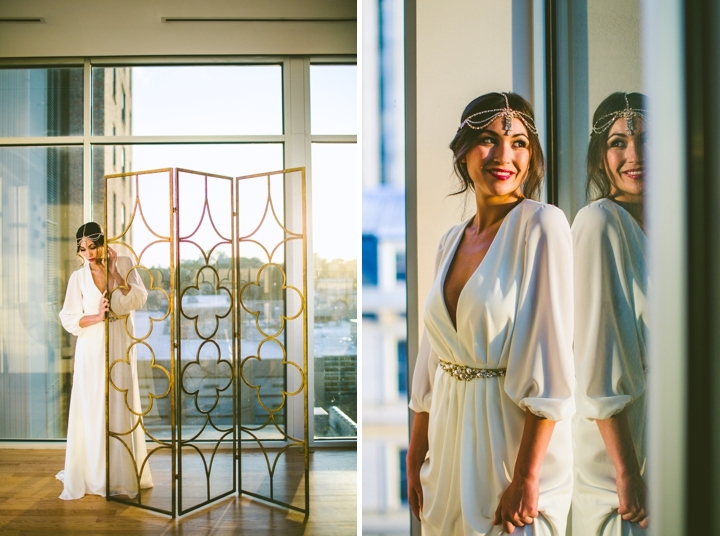 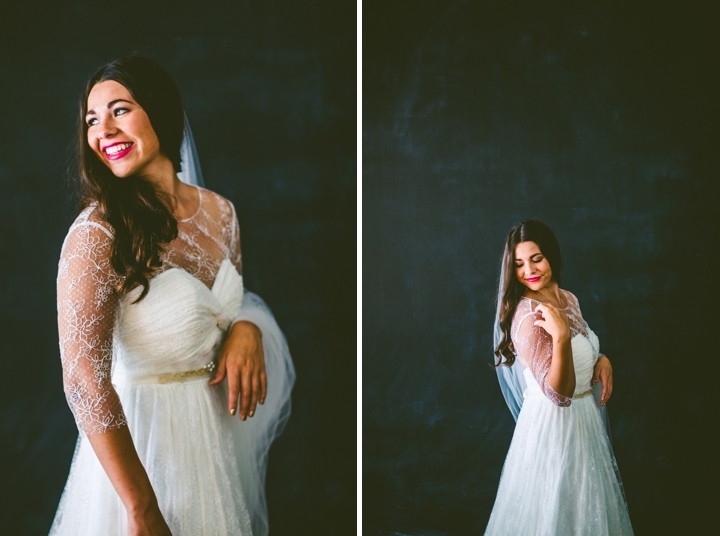 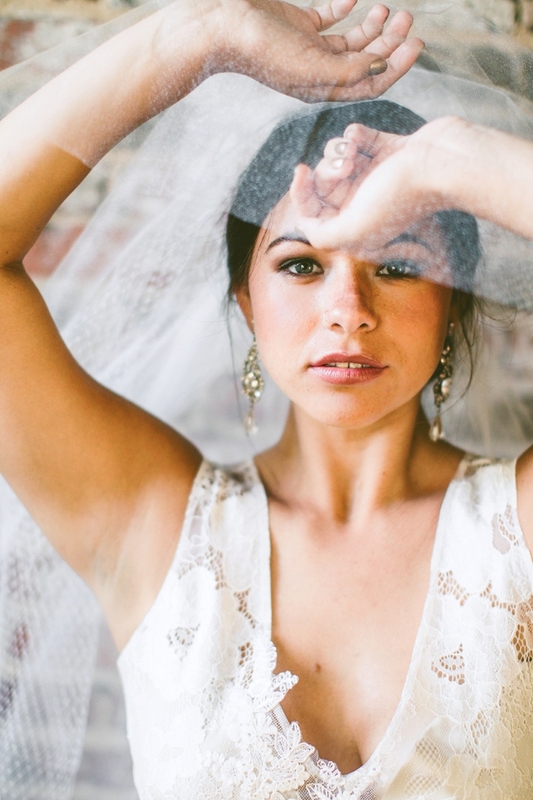 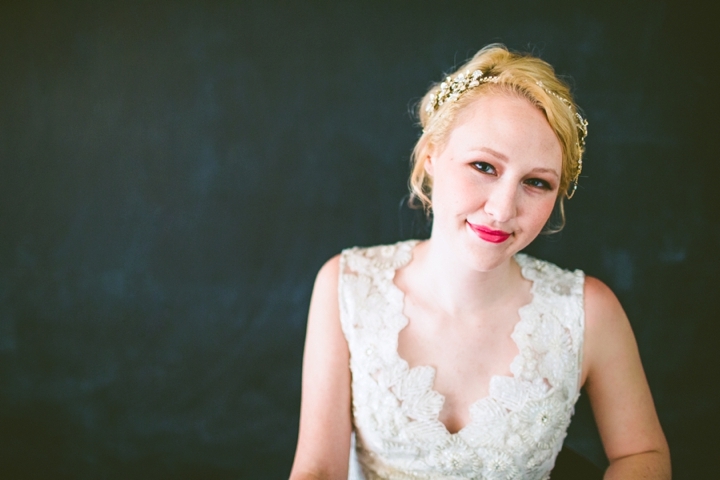 7th Series (Rayn with veil and lace dress) // Dress by Romantique by Claire Pettibone. 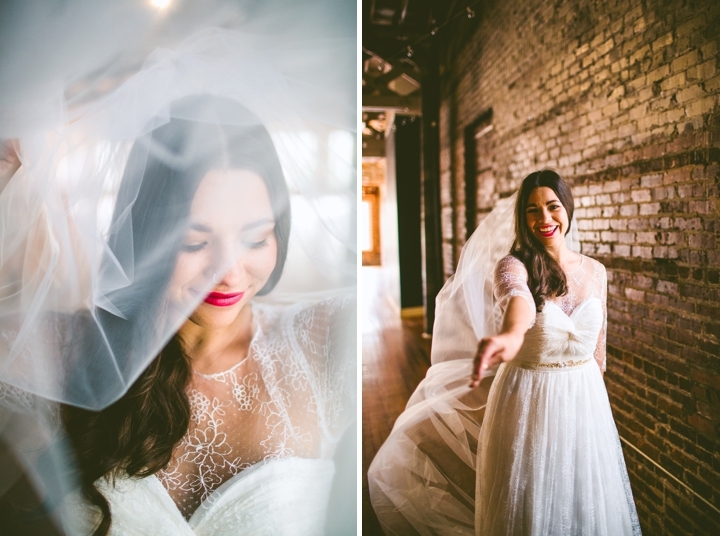 Veil by Twigs & Honey. 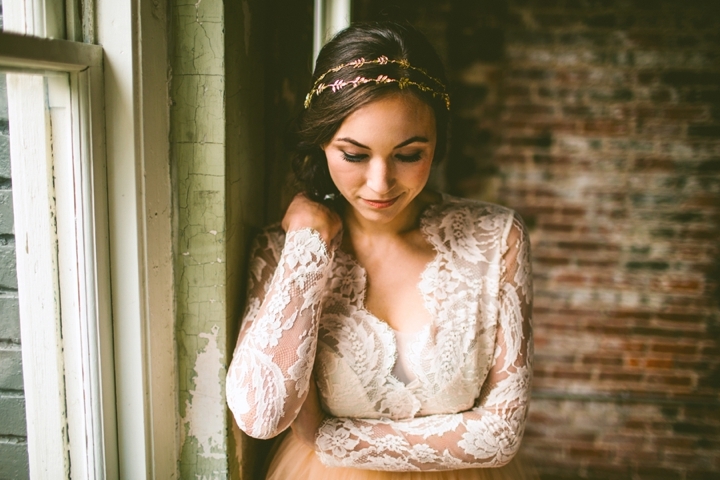 Belt by Hushed Commotion. 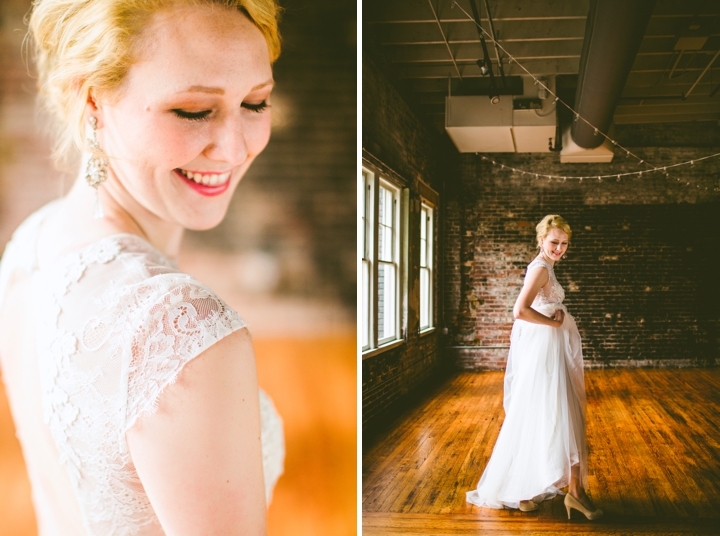 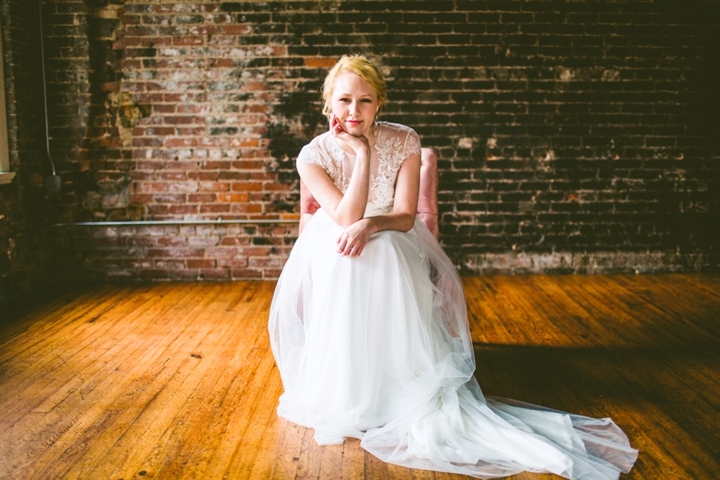 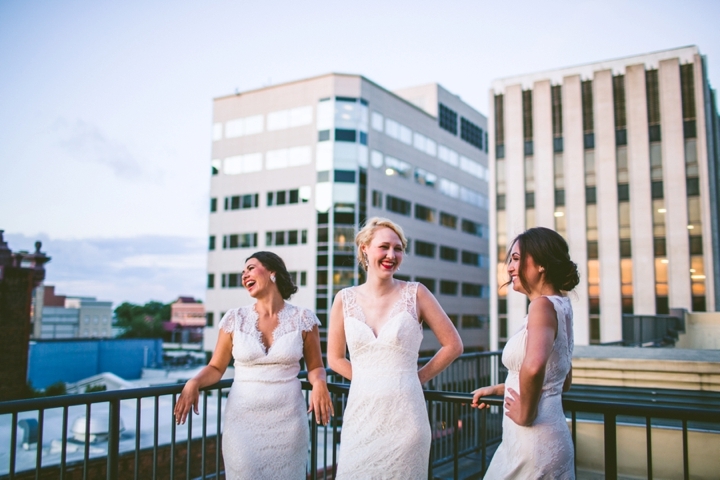 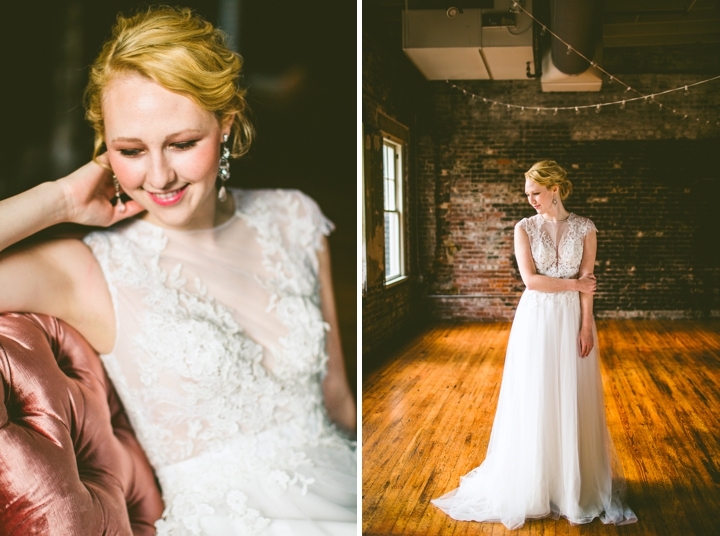 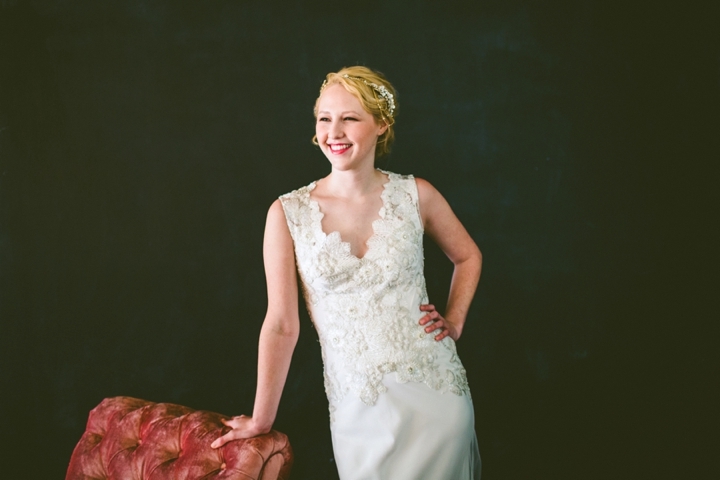 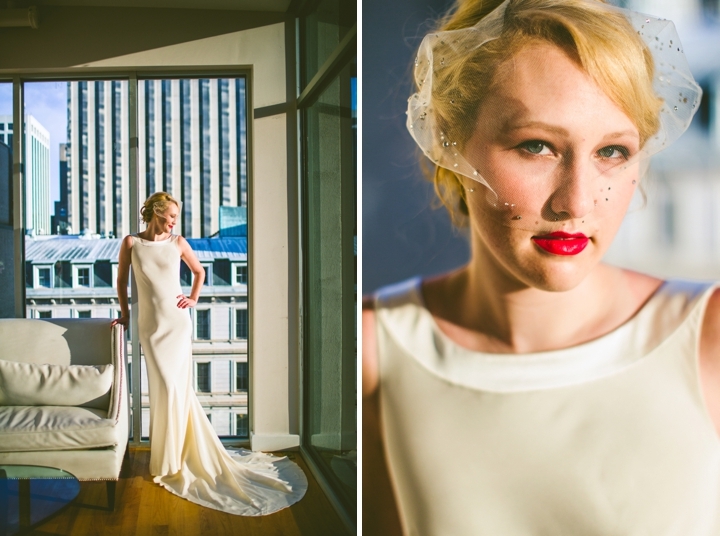 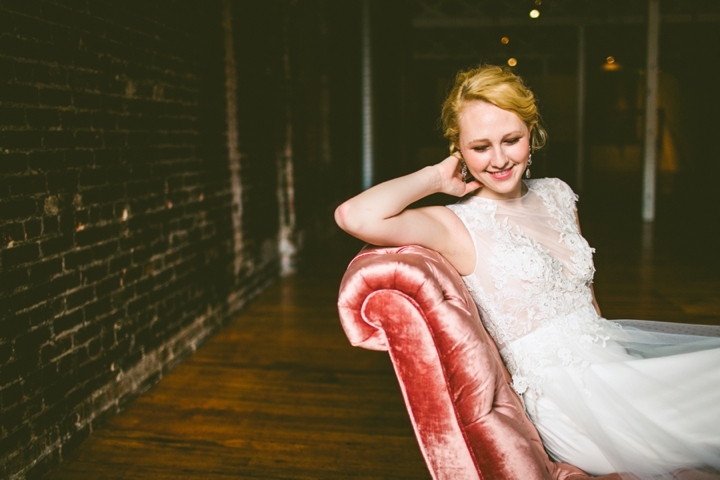 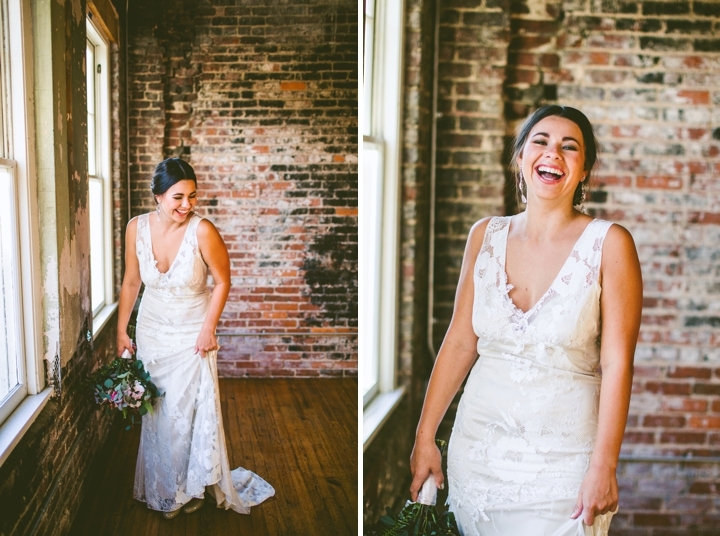 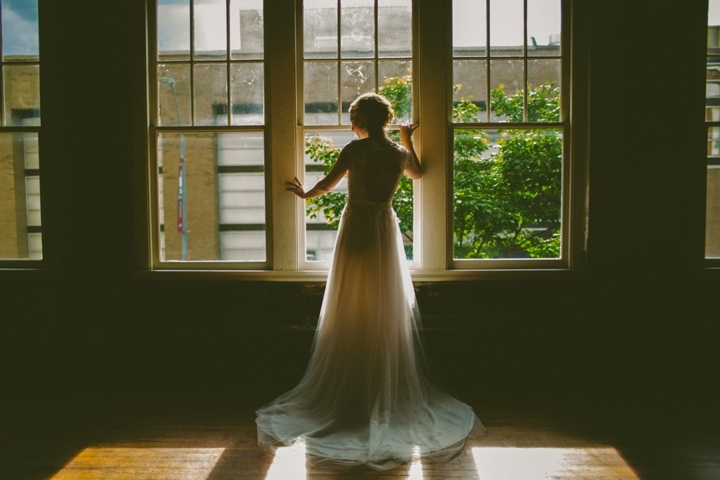 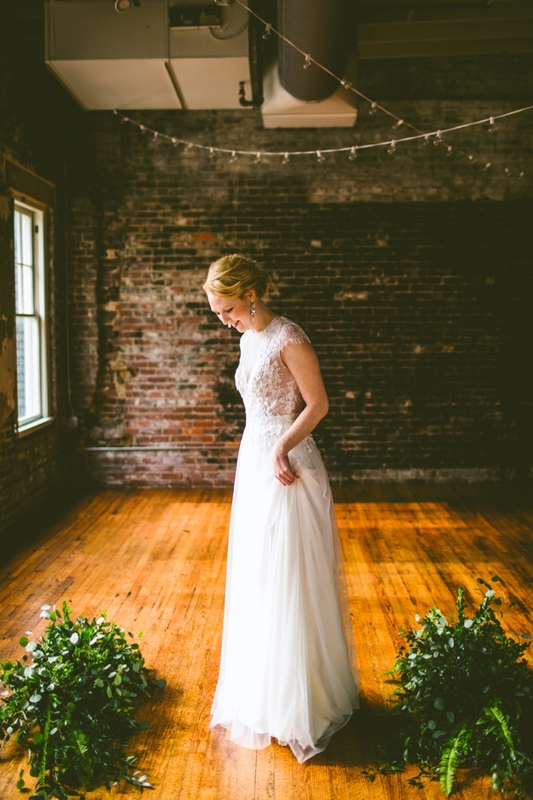 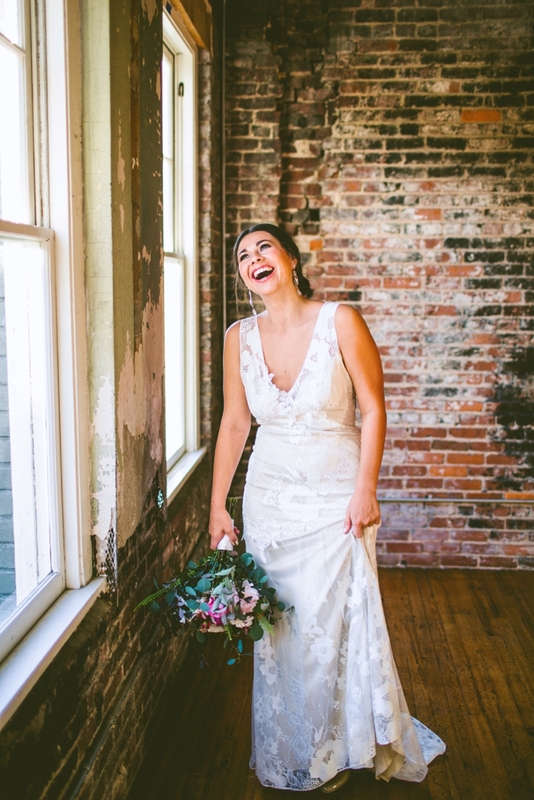 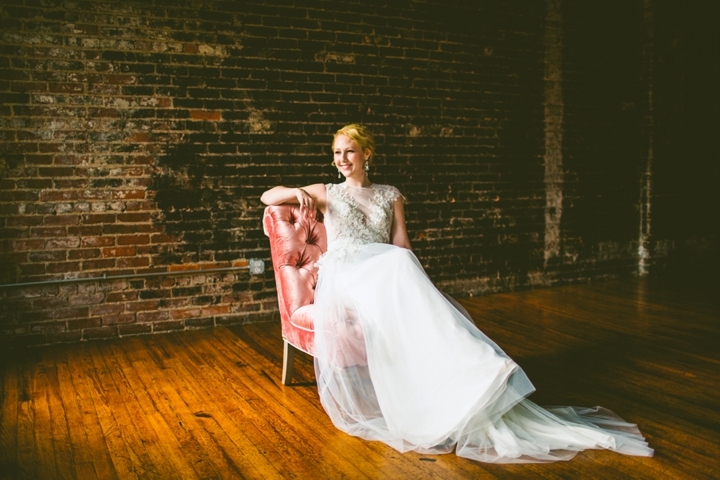 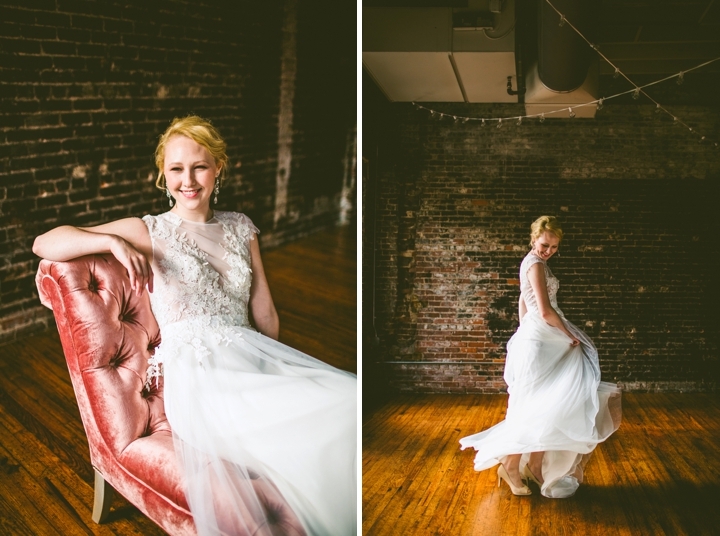 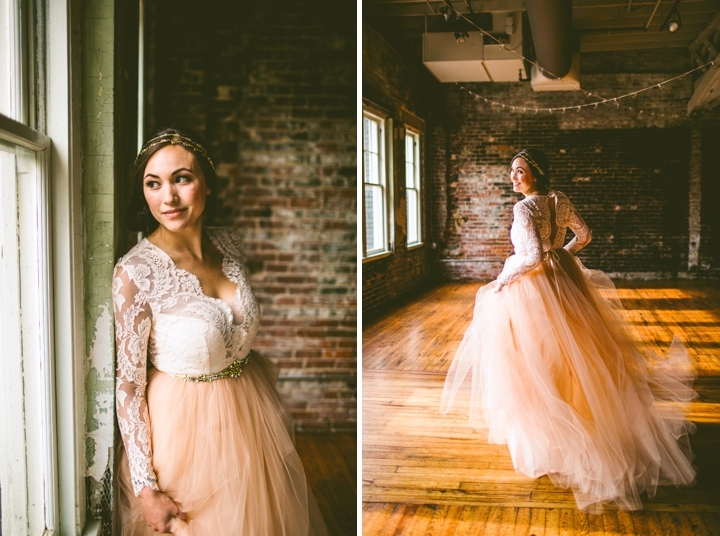 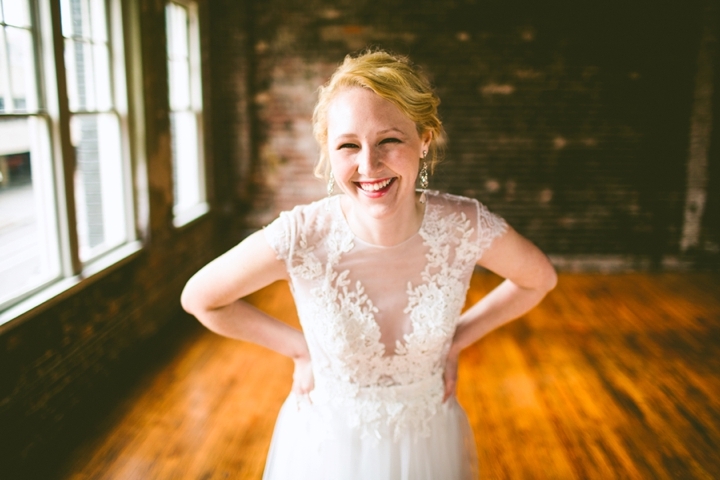 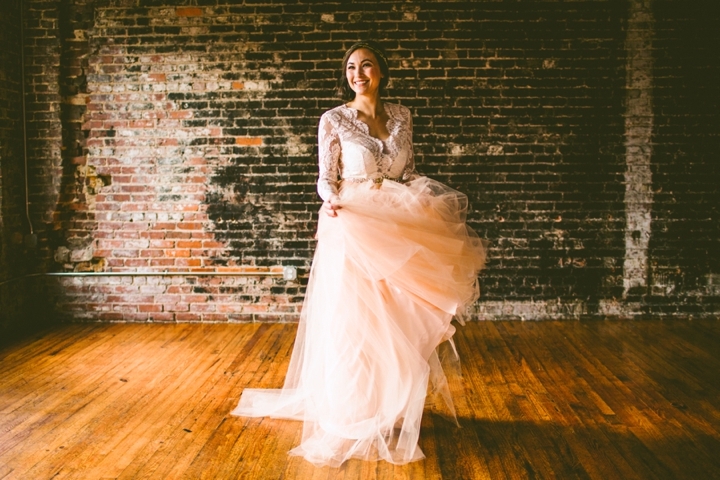 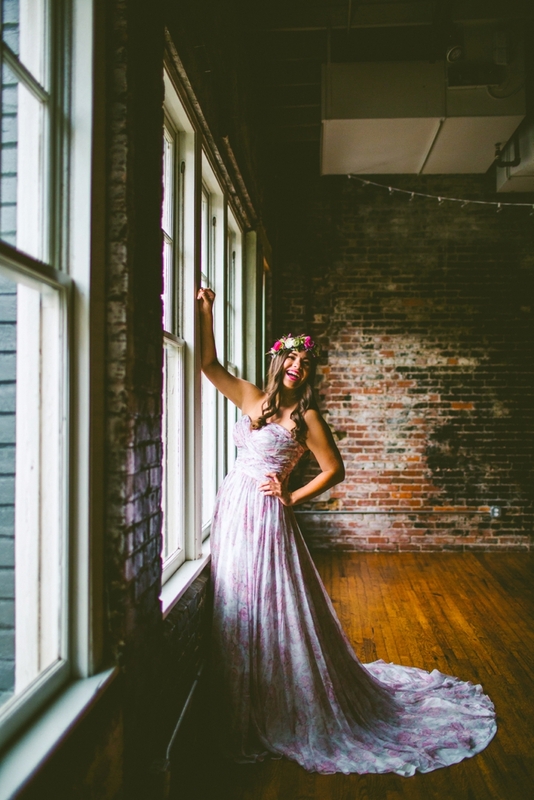 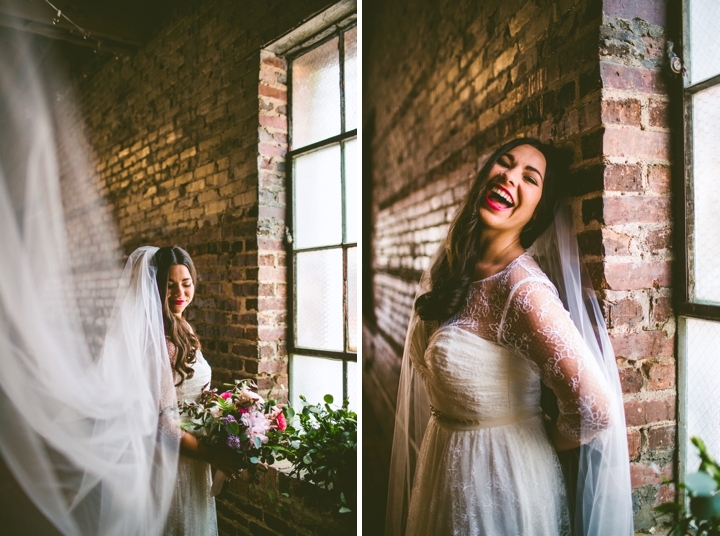 8th Series (Annaleigh in slim dress downtown) // Dress by Sarah Janks. 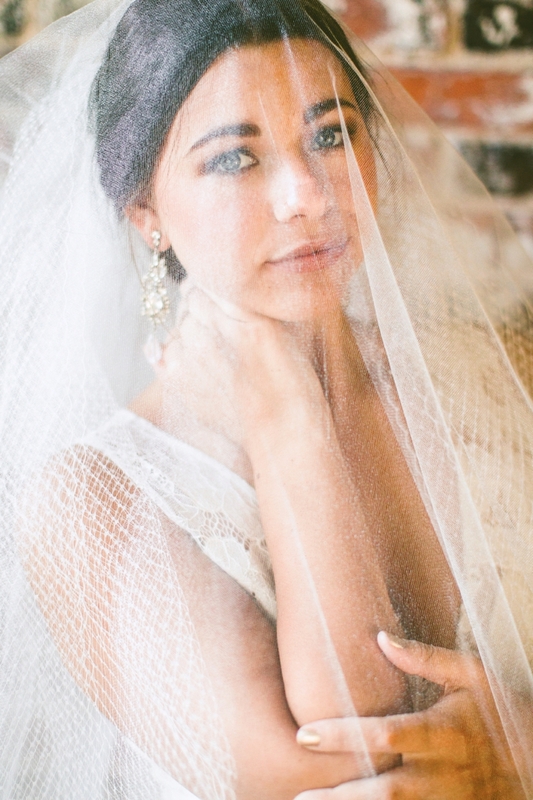 Veil by Twigs & Honey. 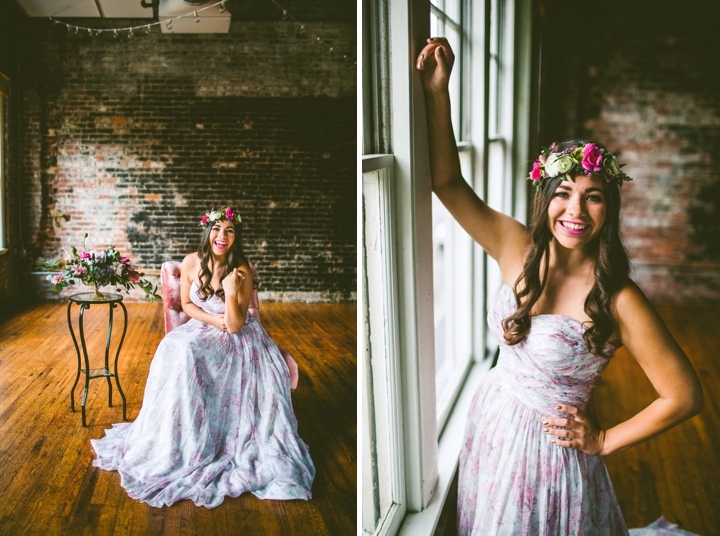 9th Series (Joey with headpiece and screen) // Dress by Elizabeth Dye. 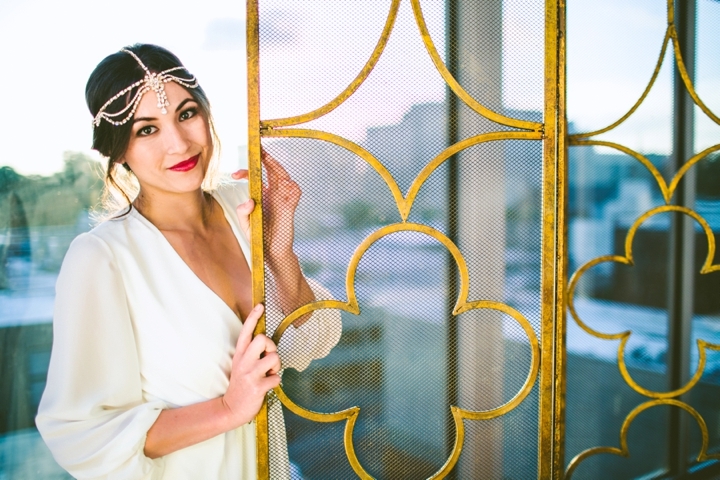 Headdress by Twigs & Honey. 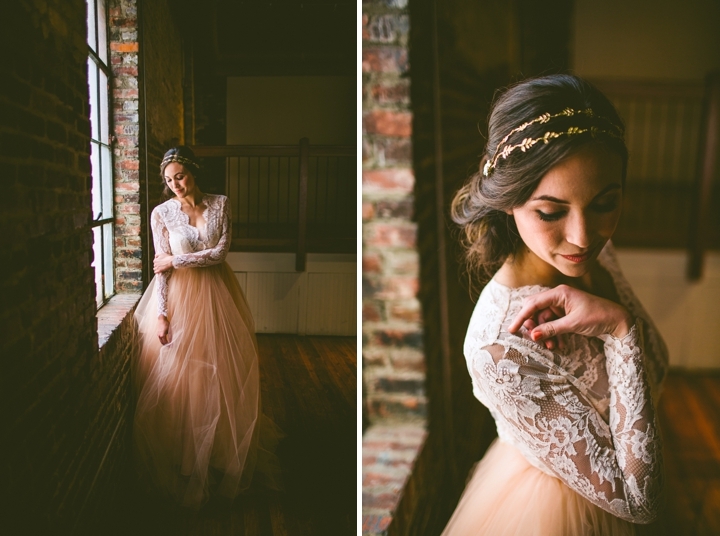 Belt by Hushed Commotion. 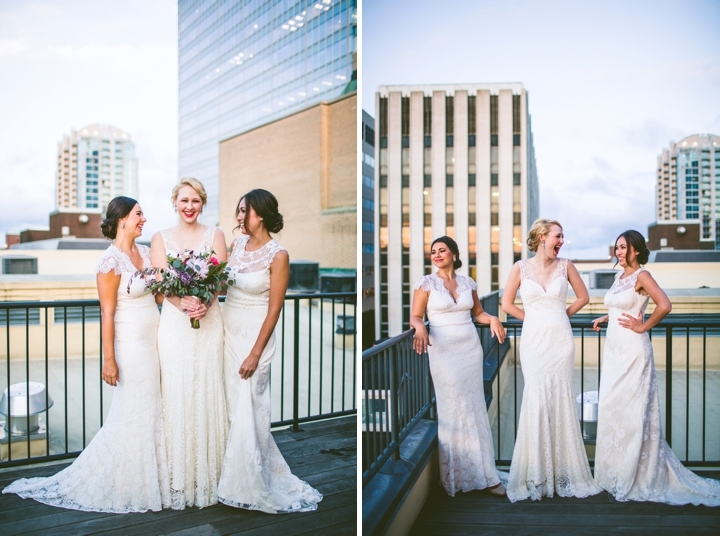 10th Series (all three girls ) // Dresses (in order of left to right): Romantique by Claire Pettibone, Elizabeth Dye, and Romantique by Claire Pettibone. 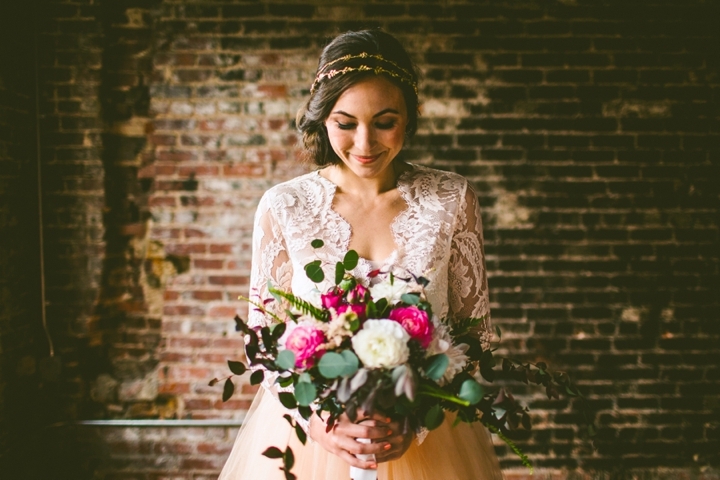 Bouquet by Eclectic Sage.